Paterson, NJ (October 10, 2017) . . . At the ICE USA show in April 2017, New Era Converting Machinery Inc. showed a coating and laminating line that had been custom ordered for Polykote Corp. (Easton, PA). That coating and laminating line is now up and running, and it is meeting the expectations the specialty coating company had for its new equipment. Polykote Corp. is a specialty coating company that focuses on unique customer applications using rod, slot-die, flexographic and gravure application methods with both water-based coating, 100% solids coating, and other unique formulations. For 28 years, their focus has been on working closely with their customers on end-use needs and specific applications to ensure they can develop the unique solutions that their customers are looking for. Through formulating and adjusting materials and process conditions, Polykote prides itself on being able to think outside the box and give their customers personalized, effective solutions to their needs. The coating line is a purpose-built machine capable of running at 500 fpm under constant, closed loop tension control. The machine can handle 50” diameter input bundles at 60” wide, laminating two materials prior to windup. 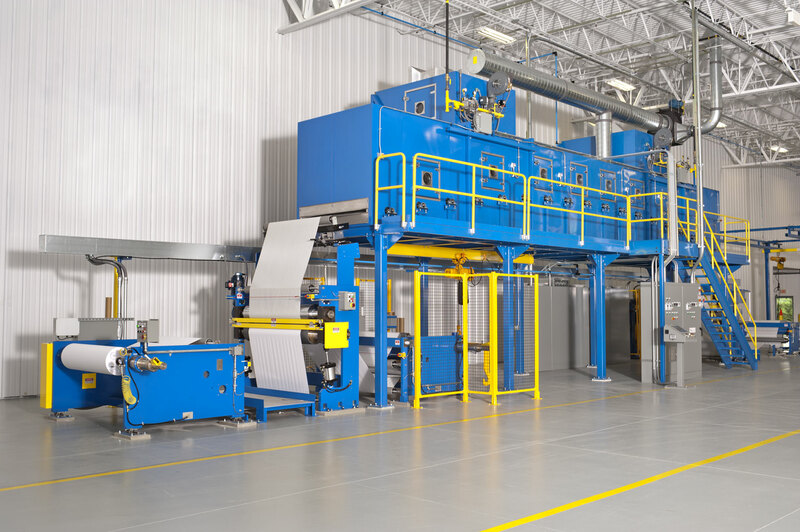 Featured is a specialty coating station, which is of modular design that will allow Polykote to change coating technologies in the future as their business grows. The flexibility of the line will also benefit Virtual Graphics LLC, Polykotes’ sister company. Virtual Graphics LLC will produce their patented, leuco dye free, direct thermal color material “RevealPrint®“, that delivers color without using ink or ribbons. New Era, in helping Polykote through the process of both purchasing and starting up the machinery and equipment, focused not just on the coating machinery but also on updating the drives and controls. The specialty applications that are Polykote’s core competency require equipment that is equally capable of performing unique, custom tasks. New Era worked with Polykote in planning, designing, building, and installing the coating line, communicating every step of the way. The result was a smooth and worry-free installation and start up, with the new coating line meeting every expectation for speed, quality, and versatility.